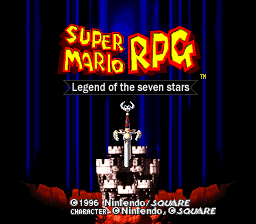 Here you have, a “real” PAL SMRPG. Princess Toadstool is now Princess Peach even in the intro sequence. Button colors (red, yellow, blue and green) are restored. Main title has a better font. Garden animation has been disabled, it only appears if you start a new game. Bowser has been updated to its japanese form. 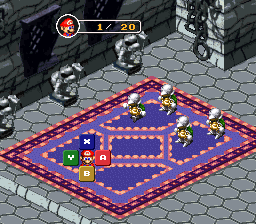 Improves Super Mario RPG for playing in pal machines. The intro and ending musics are now synchronized with video. So the rom has been converted to 50Hz.